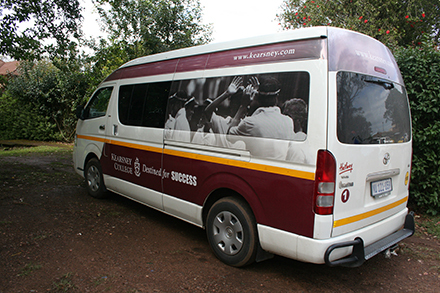 All notifications or queries regarding the dayboy or boarder bus services should be directed to: Mrs Dunnett (transport@kearsney.com). Phone: (031) 765 9631. Transport costs are charged in arrears at the end of each month, regardless of frequency of use. Please note, stops are only made at locations indicated below. There are no return trips on Saturdays. These schedules are subject to change. Half term and end of term: The bus/es will leave approximately 15 minutes after school closes. (Not currently in service. Available upon demand by arrangement). The service runs on Monday mornings but not the first day of a new term. The services run on Monday mornings, but not the first day of a new term.